Women are getting the chance to share their input on the “form, fit and function” of certain uniform items in an online survey. The Navy’s seeking input on its uniforms from female sailors. About 16,000 of them. Those women were randomly selected to take part in an online survey, which went live May 15 and will last 90 days. 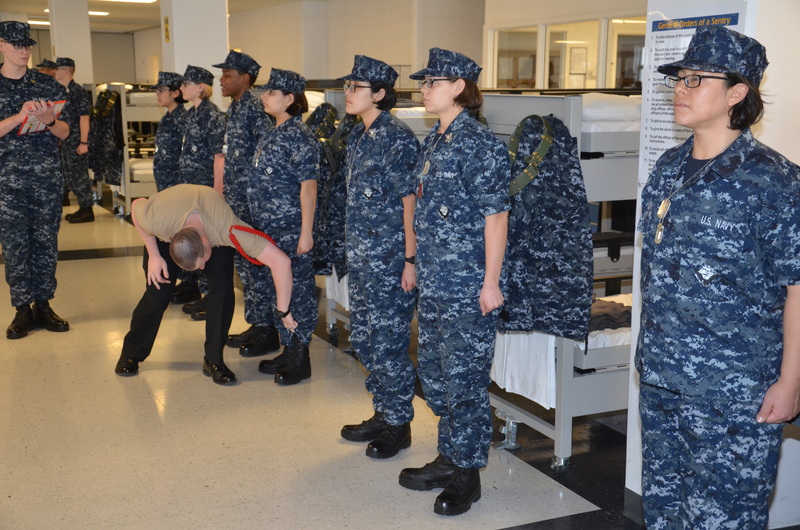 It’s designed to provide a broader analysis of “female sailor uniform preferences and concerns,” according to the fleetwide message, NAVADMIN 127/13, that announced its launch. Such a sweeping survey was deemed necessary by Navy officials after small focus groups and interviews involving female sailors’ uniform concerns. The survey will focus on the female sailors’ level of satisfaction with the current uniforms’ “form, fit and function,” said Lt. Hayley Sims, a spokeswoman for the Chief of Naval Personnel.It will also ask their preference on various aspects of the female dinner dress, service dress and service uniform components, like coats, slacks and shirts, she said. Some areas that will be specifically targeted include the fit and hip-to-waist ratio of slacks, the comfort of shirt collars, and the preference for shirt lining, shoulder stitching and yoke on service uniform shirts, a Navy release said. Participants, officer, enlisted, active and reserve, were mailed instructions April 30, the release said. The results of the survey will be analyzed by the Navy Personnel Research, Studies and sent to the Navy Uniform Board, a Navy blog post said. The board will then brief the Chief of Naval Personnel and the chief of Naval Operations. Based on their decisions, a NAVADMIN announcing any changes will be released.